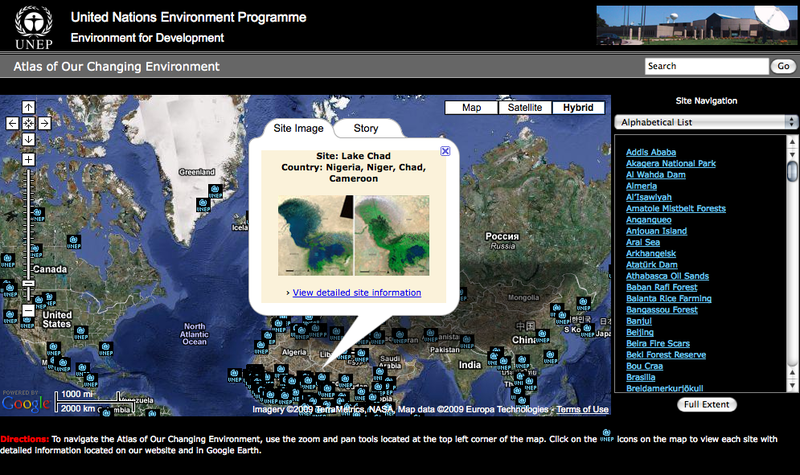 The Google Elevation web service provides you a simple interface to query locations on the earth for elevation data. Additionally, you may request sampled elevation data along paths, allowing you to calculate elevation changes along routes. The Elevation service provides elevation data for all locations on the surface of the earth, including depth locations on the ocean floor (which return negative values). In those cases where Google does not possess exact elevation measurements at the precise location you request, the service will interpolate and return an averaged value using the four nearest locations. With the Elevation service, you can develop hiking and biking applications, mobile positioning applications, or low resolution surveying applications. Check the documentation out over at Google . 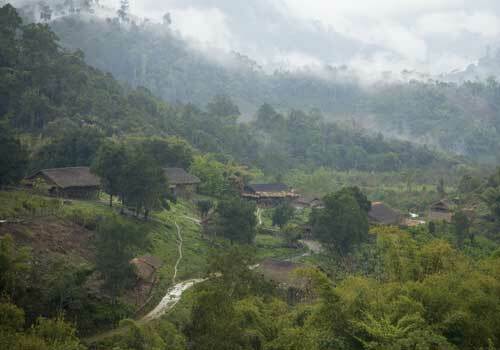 . .
Republished from United Nations Environment Programme. Increasing concern as to how human activities impact the Earth has led to documentation and quantification of environmental changes taking place on land, in the water, and in the air. Through a combination of ground photographs, current and historical satellite images, and narrative based on extensive scientific evidence, this publication illustrates how humans have altered their surroundings and continue to make observable and measurable changes to the global environment. Reviewing the Nokia 6210. An iPhone competitor? No. Nokia’s WOM World was kind enough to loan me a Nokia 6210 Navigator (full specs) with the new Nokia Maps 3.0 beta to test in March. I was excited to use this phone because on the surface it has a similar feature set to my iPhone in a smaller profile with potentially less costly carrier subscription and not being tied to ATT. The phone has a GPS, camera, video phone capabilities, and better navigation software with 3d and walking modes via their OVI Nokia-branded maps service which came preloaded on my testing unit. It took me a while to figure out that I could access the mapping functionality via a dedicated map “compass” button on the main button area (blue button on the bottom of top (LCD part) slider unit in photo above). The mapping functionality is not visible in the phone’s home screen of GUI buttons. After a while I figured out how to use the “Menu” key to get more than top level menus and then choose the map icon there, too. 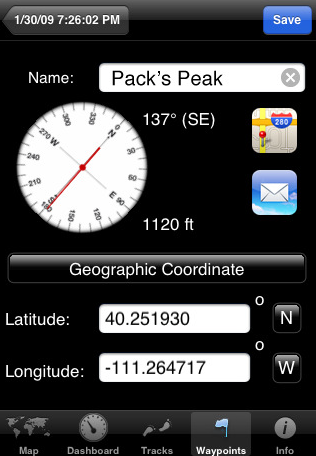 Maps are preloaded onto the phone, no need for net connection for basic functionality, a plus over the iPhone. Compared to the iPhone, the Nokia 6210 has several great 3d map views more akin to GPS car navigaion systems (an app is available for the iPhone that brings some of this functionality over). The Nokia 6210 has better integrated search for POI around you (I have downloaded several 3rd party apps for my iPhone that do the same thing). The 6210 also does walking directions (and allows straight line walking, not just along roads). It is strange this phone ships with the GPS turned off. When I pulled up the map application for the first time it did not ask me if it should turn on the GPS receiver. I had to go into the settings area and manual enable. While I can understand the goal of reducing the drain on the battery, this was inconvienent and confusing to turn on. 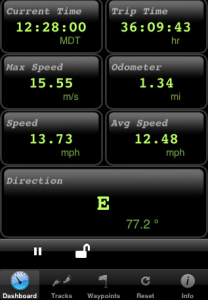 During normal usage, the GPS would take a very long time to engage. The maps app would crash often (it was beta, after all). The 6210 doesn’t seem to use cell phone tower triangulation to get the fast fix (and GPS later to refine position), a serious downside compared to the iPhone’s rapid location display and then refinement. 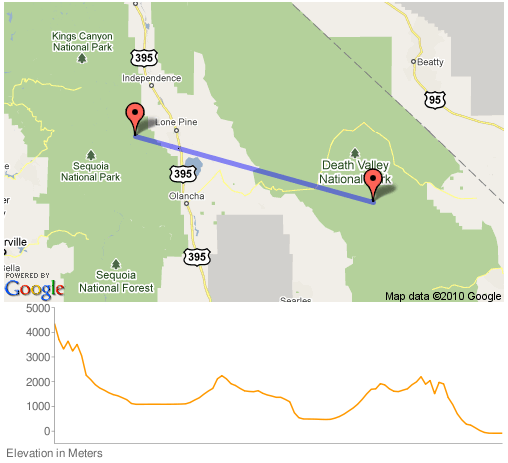 Route planning on the phone required a license code, compared to the free Google Maps routing on the iPhone. This adds potentially $100 extra per year for the same functionality. The Nokia 6210 Navigator is a slider phone, but the slider functionality did not always engage the phone’s OS to unlock, or there would be a extremely long delay. The keypad interface instead of my iPhone’s touch screen was infuriating. I should note the phone has the old 3 abc-per numeric keypad layout, not a blackberry qwerty keypad. Phone call quality seemed on par or slightly poorer than my iPhone. Same locations, same SIM, same carrier. Data connections were notably slower due to reliance on 2G (Edge) service. Web page rendering was terrible compared to the iPhone. Nokia has announced several new phones with 3G speeds. I wanted to test the video conf. capability since this phone has two cameras, one pointed towards your face and the other at the back of the phone. But I didn’t know anyone else with a video conf. capable phone. It is rumored the summer 2009 iPhone hardware update will enable this. The camera was okay, not as good as iPhone in low light. The 6210 does have a flash, though! and the battery is easily replaced. Just pop off the back of the case. The SIM card is located behind the battery and easy to swap out. All in all I prefered my iPhone 3G over the Nokia 6210 Navigator. I see that Nokia is prepping a new touch screen version and has introduced the Ovi store to compete with the iTunes app store. But by the time that is released, we’ll have a new version of the iPhone. Watch this YouTube video for views of the phone; Maps application shown at the very end. It seems to have caught up to GPS Kit 3.0 (below) for features and ease of use, though I still prefer GPS Kit’s interface which is a little more refined and iPhone-like and less like a computer arcade game (the developer specializes in those types of games). Most notable in the GPS Kit 3.0 update is the huge battery saver features of turning off the screen but maintaining track recording while in the pocket just like the screen turns off when the phone is held to the ear during a phone call. All the GPS apps need to get serious about cacheing maps BEFORE heading out to a trail. 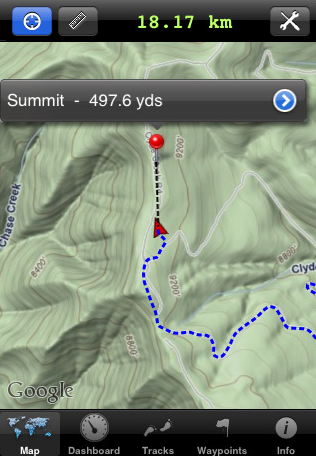 Cell phone service, let alone 3g, is spotty out in the mountains. 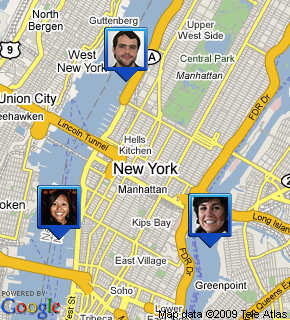 Also allowing user specified tile source, not just Google or OpenMap. Maybe via the ability to setup “trips” (ala Tracks and Waypoints) based on the current visible map extent and then having the app pre-download map tiles down to the lowest zoom-level within a user configureable, say, 50 meg cache limit. All apps are less than $10 from the iTunes store. MotionX is having a sale at $2.99 right now. 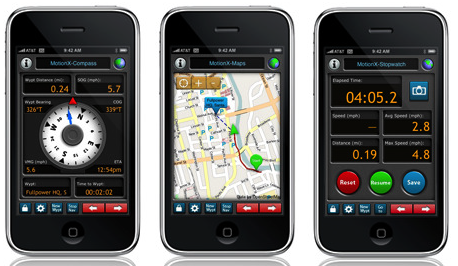 If you want Google maps (including terrain) and care more about advanced features and a more sane interface, get GPS Kit. If you want Open Street Map base maps and pretty good advanced features but weird interface, get MotionX. If you are just a casual exerciser get an app like Trails (read New York Times review), RunKeeper, or rubiTrack that function mostly as a data capture and then interfaces with a desktop or web application to catalog your routes and graph progress. 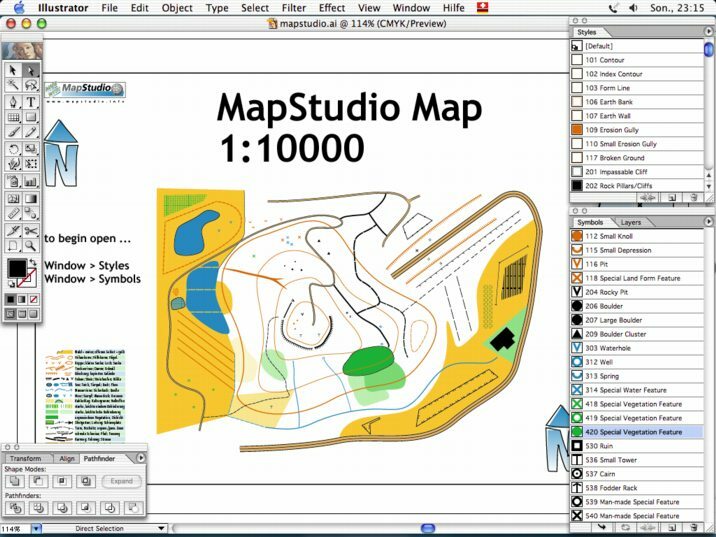 MapStudio is a set of orienteering symbols and graphic style for Adobe Illustrator (on Mac OS and Windows) and helps you to draw high-quality orienteering maps in shorter time than ever before. The morning last May when a Google Maps car — with a roof-mounted camera — came to record street-view images of Pittsburgh’s Sampsonia Way, artists Ben Kinsley and Robin Hewlett were waiting. 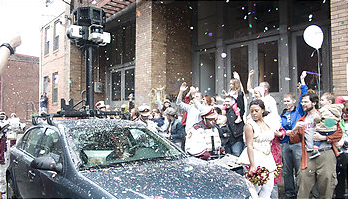 They and more than a hundred community members had lined the one-way alley with a staged street parade (with marching band! ), a mini-marathon and a dozen other bizarre scenarios. Video of the resulting public art project, “Street With a View,” and a Web terminal to check out the project are now on view as part of the Arlington Arts Center’s new “Public/Private” exhibit. And the truth about it is, the little Google Maps “intervention” was a six-month undertaking — that required assistance from Google. “They had already shot that street. Pittsburgh was already done,” Kinsley tells us by phone from Iceland, where he now works. “In the end, they were willing to reshoot the area just for us. There wasn’t any guarantee that what they shot would go live.” But it did: Just Google “Sampsonia Way Pittsburgh,” and there they are (though you’ll have to scroll around to find all of the scenes). Kinsley says he and Hewlett (both Carnegie Mellon grads) hit upon the idea after seeing street views. Free. “Street With a View” and the rest of “Public/Private” are up Tuesday-Saturday 11 a.m.-5 p.m. through April 4. Arlington Arts Center, 3550 Wilson Blvd. 703-248-6800. For more about the project visit http://www.streetwithaview.com.